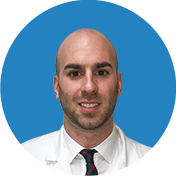 At Manhattan Orthopedic Care we pride ourselves to be the top-notch orthopedic facility that improves the quality of people’s lives. 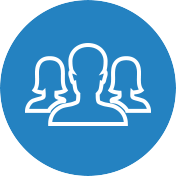 Our devotion to patient’s well-being creates a unique bond with them and we develop a friendship, not just a doctor-patient relationship. That is the reason that our patients choose Dr. Tehrany’s help when they need it again. One of the friends that visited Manhattan Orthopedic Care several times is Margarita Miller. She first met with Dr. Armin Tehrany back in 2005, when she suffered a tear in her knee and lost most of her cartilage. 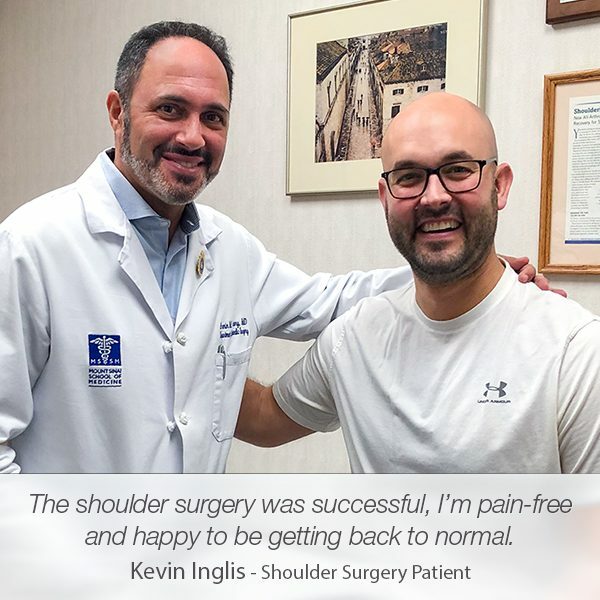 Her second visit to Manhattan Orthopedic Care was after she had been suffering from terrible shoulder pain for almost a year. We were not happy to see her suffering from a SLAP tear, but we were glad that she trusted us once again for helping her and improving her life. 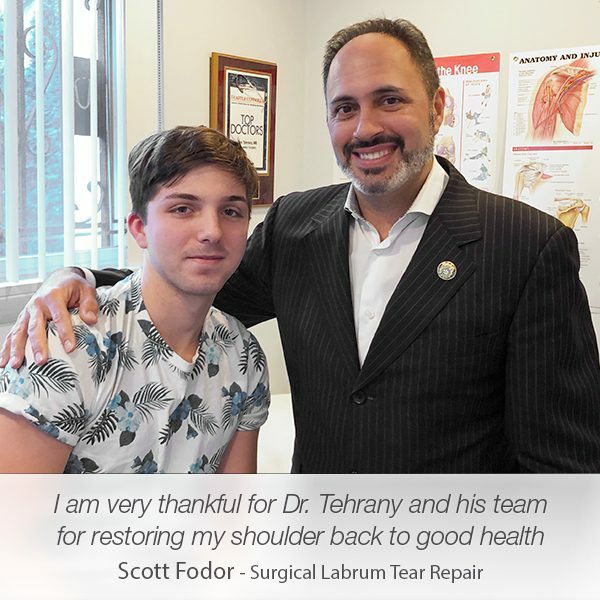 Because the SLAP tear was Type II, Dr. Tehrany performed shoulder decompression and a tenotomy on her shoulder. After the SLAP tear repair, she was scheduled for an extensive physical therapy to elevate the pain and get her arm mobility back. 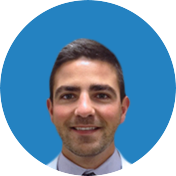 “I’m extremely grateful to Dr. Tehrany for improving my quality of life! 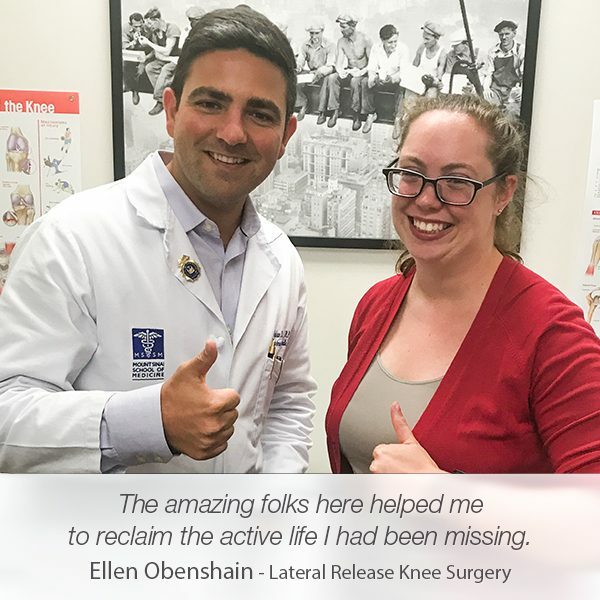 I have been his patient since around 2005 when he operated my left knee (I had been a runner for many years), had a tear and lost most of my cartilage. He did such a wonderful job, I’m able to walk and dance without pain. 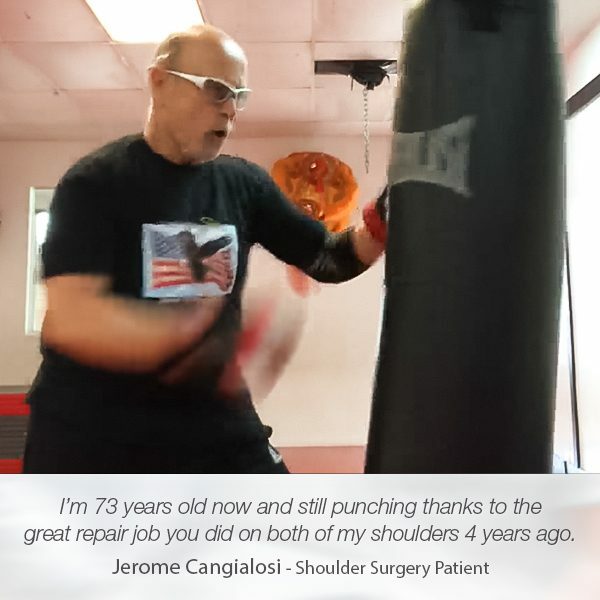 After suffering shoulder pain for almost a year (Physical Therapy helped to alleviate some of the pain and inflammation, but was not enough), Dr. Tehrany did a subacromial shoulder decompression and a tenotomy of my right shoulder. After going through extensive PT, I’m doing extremely well, although should continue PT to reach the 100% arm extension, I’m practically there with almost no pain. 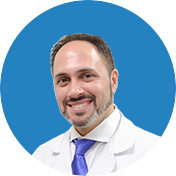 If you need to consult a board-certified orthopedic surgeon about something that worries you, contact us and we will schedule your free consultation with Dr. Tehrany.